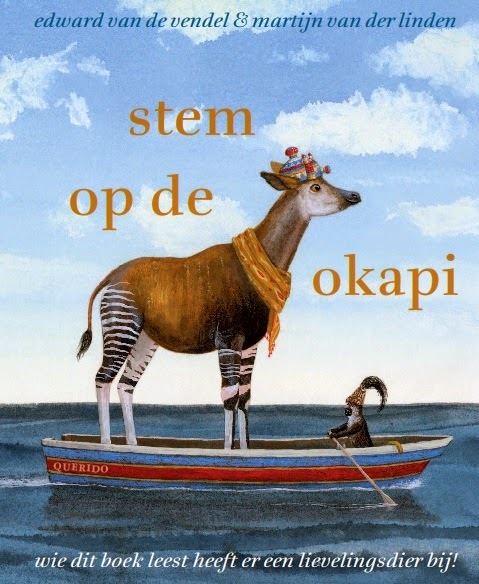 NEWS: THE OKAPI-BOOK IS OUT THERE! The book in defense of the lovely okapi that I made with illustrator Martijn van der Linden is out now. We worked for years on this 160-page-non-fiction book, and it became a book through which we try to convince all of our readers that the should take the okapi to their new favourite animal. And in the book we provide the reader with 88 reasons for doing so. I'm really happy that we could work so long on this book and that our publishing house Querido let us do so, and let us make a book in full-colour and with a beautiful design. Thanks. We are really proud.